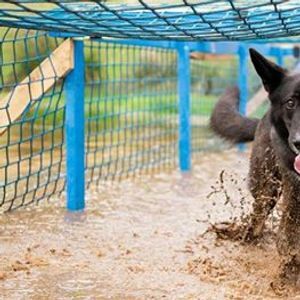 We welcome humans and their dogs to take part in the Muddy Dog Challenge and raise money to help care for the animals at Battersea. 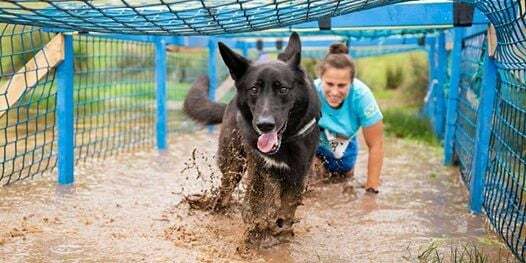 Join us for the UK's first 2.5km and 5km obstacle runs that you can take on as a dog-and-human team, or on your own. Adult competitors must be aged 16 or over, and this year, for the first time, we are welcoming children aged 8-15 to join in too! Dog competitors must be one year or over, on event day. If you're registering with a child, please choose Individual and then either Adult, dog and child, or Adult and child. All children aged 8-15 must take part alongside an adult aged 18 or above, who must hold the dog lead for the entire course. If you would like to register another child (one adult can be responsible for up to two children if they are not registering a dog) please email bXVkZHlkb2cgfCBiYXR0ZXJzZWEgISBvcmcgISB1aw==. If you are signing up all in one go, please make sure your team mates enter their details themselves on the registration form. We ask all adult participants to raise a minimum of £100 in sponsorship. If you are taking part with a child, please try to raise more that £100. 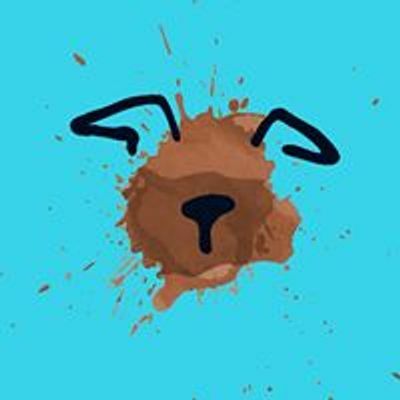 The data you provide will be used by Battersea Dogs & Cats Home and Battersea Dogs’ Home Ltd to enable us to process your entry and communicate with you about the event arrangements. If you provide a postal address, we will contact you in this way with marketing we believe you’ll be interested in, unless you’ve told us not to. If you’d prefer us not to contact you by post, or if you’d like to change the way we process your data, let us know by contacting Supporter Services on: Phone: 0300 323 1216 Email: c3VwcG9ydGVyc2VydmljZXMgfCBiYXR0ZXJzZWEgISBvcmcgISB1aw== Post: Supporter Services Team, Battersea Dogs & Cats Home, 4 Battersea Park Road, London SW8 4AA. Please note that Battersea (or our authorised service providers) or our commercial partners may film or photograph participants, volunteers and spectators attending or taking part in events and use such footage or photographs. You will be given the option to give consent to photography and videography on behalf of participants under the age of 16 as part of the registration form. Personal details (including names) of any under 16-year-old participants will not be used in any publicity materials without the written consent of their parent or legal guardian. You can ask Battersea to stop using your child’s images at any time, in which case they will not be used in future publications but may continue to appear in publications already in circulation.